Live the lifestyle dream in comfort! 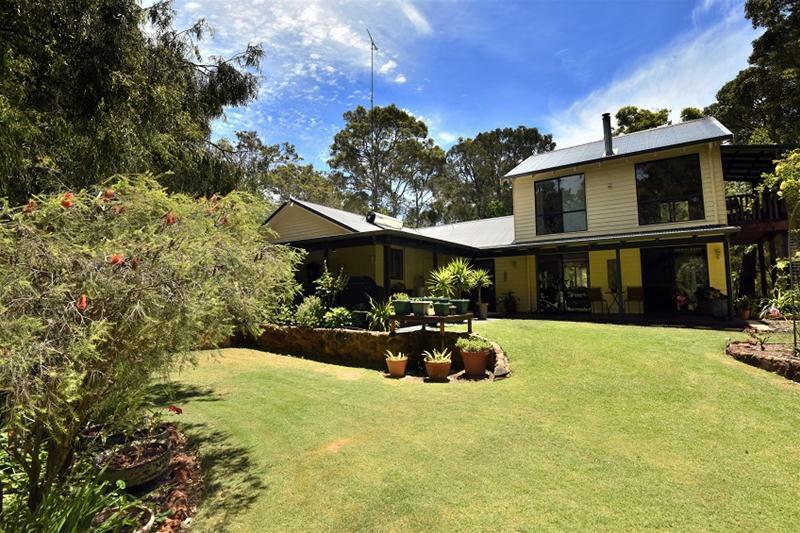 This 3ha property offers the quiet bushland setting plus a very comfortable home and a winter creek just outside the lounge room window. The home is not visible form the road and the driveway meanders through trees, over the creek and into a beautiful garden. 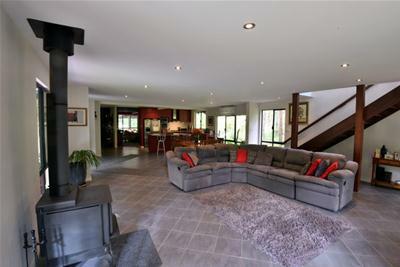 The home has been beautifully renovated and extended to become a very welcoming, spacious home. The extensive use of large windows allows lots of natural light to come in. The windows also let you feel as though the home is part of the garden. Inside there are two large living areas, a lounge room and a large kitchen/dining/family room. Two bedrooms and a bathroom with spa complete the downstairs section. 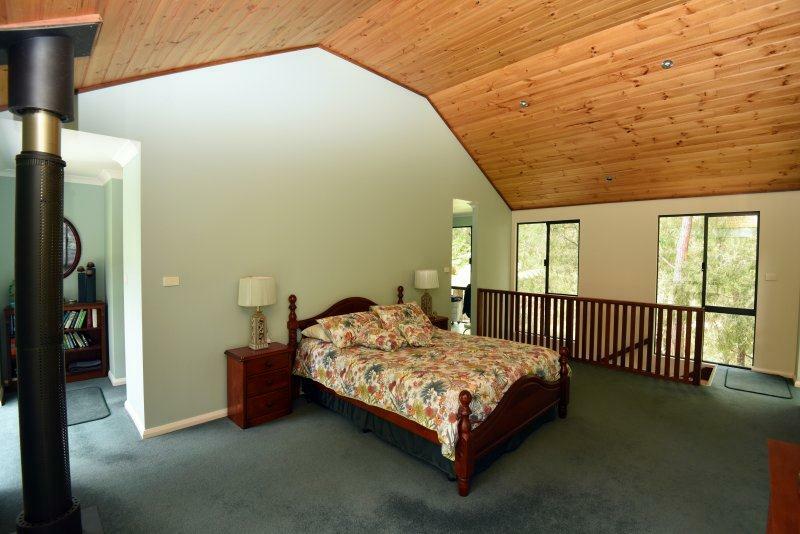 Upstairs is the master bedroom with a big walk in wardrobe and ensuite bathroom plus a balcony overlooking the garden. There are verandahs on three sides with timber flooring right around the home. 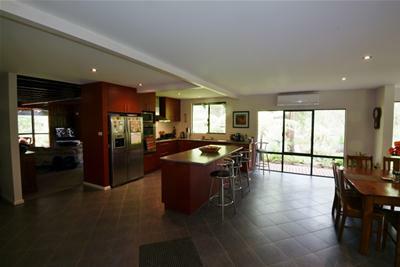 The kitchen is virtually new and has all modern appliances plus a large island bench. There is room for a double door fridge and the cooking is by a gas hotplate and electric over. A dishwasher fits into a recess nice and close, just where you want it. The home is warmed by two wood fires, one in each living area. Construction of the home is weatherboard with a colourbond roof. The property is mainly bush with plenty of jarrah, marri and karri trees. The property has a number of outbuildings including an enclosed workshop with adjacent bed sit flat. The cleared area has some older sheds that once housed livestock and chickens. Water is from a large soakage dam equipped with an electric pump. 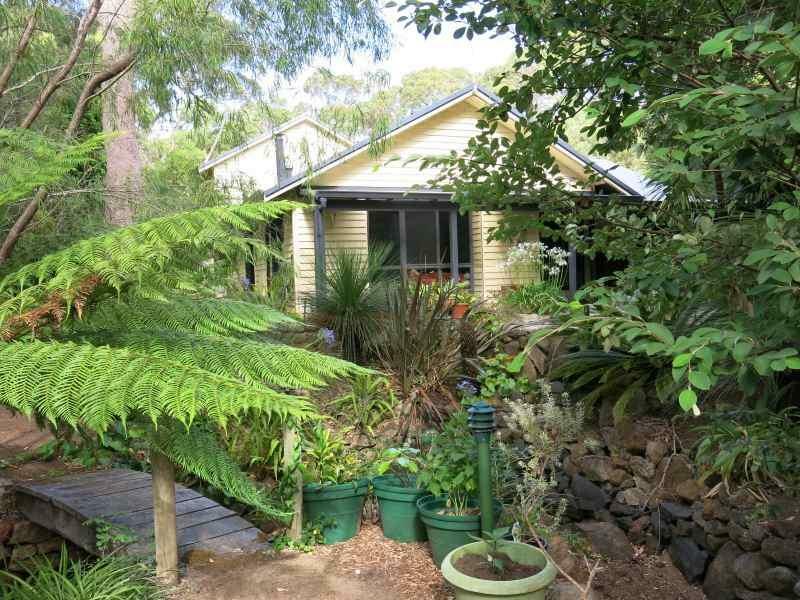 This is a very appealing and very comfortable home that would suit a couple or a family and there is oodles of room to park boards and caravans. One of the most appealing homes I have seen in nearly 30 years in real estate. Come and see for yourself.